So that definitely was a no-go. What happened for the next 2 and a half hours was looking for a way to rebook me. The first hour was waiting for USDM to hand over control of my award to the NH check-in agent, which was quite funny, as without airport control of the ticket they wouldn’t be able to change it. It was quite hilarious talking to the USDM Agent. Luckily she wasn’t clueless, but I definitely could imagine Debbie with Dividend Miles asking what All Nippon is. I swear it was much funnier in person. Then, the agent started looking for flights to rebook me on. Now this was where miles and points knowledge was really coming in handy, as I was searching on ExpertFlyer along with her. She ended up really pushing hard for the direct Air Canada flight which I knew about, but I really didn’t want as it was in business class and I doubt I would receive compensation from USDM. I found a few options through SFO with NH F NRT-SFO, and SFO-YVR on UA, except for the fact that the last seat was Y1, and the ANA agents refused to book me on it. So I ended up taking the NH flight to JFK, then CX F JFK-YVR which was booked with Avios. I would have preferred to have saved the avios, but in a pinch it was the best option for me to get home. This is exactly why miles and points knowledge is so important – first of all, the ANA agent wouldn’t have found anything to YVR without an overnight in an US airport because simply there was no space. Furthermore, the fact that I had avios at hand and knew that CX was fairly good with releasing last minute premium space on CX888/889 ensured I was able to get back to Vancouver in time for my classes. How was the CX F flight from JFK-YVR? CX F. And by the time the flight left from NY most internationally flights were operating. So definitely it was a calculated risk. Jeff, Can you tell us how do you get compensation from US Airways? It’s it for the JFK-YVR segment? Well if you got downgraded you’d email/call us airways and see what they can give you. The CX F was booked with Avios seperate from the US award ticket. I was downgraded to J from F on AA on a transatlantic flight last month. It is part of my larger itinerary, which is a one way in F on AA metal – SFO-JFK (Stopover)-DFW-NRT. Should I be looking for some sort of mileage compensation because of the change of equipment and the downgrade on the SFO-JFK segment? Possibly. You should contact AA. I don’t get it. I mean, I understand not wanting to lose 15,000 miles of value on the US award due to flying J instead of F (i.e. (120,000 – 90,000) x 50% = 15,000). But I don’t understand why it would be worth paying an extra 37,500 Avios plus taxes, and effectively add a transcon round-trip to your travel time. I would have cut my losses and flown AC. But I do agree that it is always good to have a stash of miles in various programs in case of irrops. The thing is had I flown J I would have used 40,000 lifemiles instead of the other “piece” of the USDM award. I’ve already flown AC J on that route and I really didn’t enjoy it much so I’d rather pay more to try a new product. It’s a bit irrational, but I do have miles so it’s not like I have to be stingy. Since your NRT – ORD and ORD – YVR leg was cancelled, why weren’t you rebooked all the way back to YVR instead of you having to shell out Avios for the JFK – YVR leg? I know that CX is one world, but the ANA agent couldn’t find a ticket home for you? Essentially all the flights were full and had no seats for sale for ALL flights from NYC, SFO, and LAX on the date (which was just before start of school, which is why loads were so high). 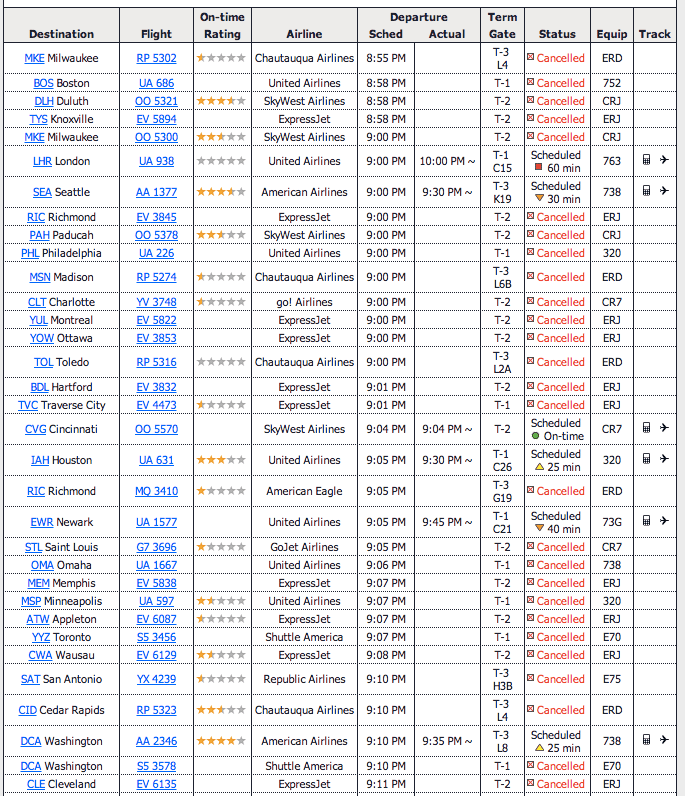 I think there was one flight via SFO that was Y1, although they weren’t willing to book me in full-fare Y. So the only time they could get me back to YVR was requiring me to standby for a flight, which I didn’t want to do, and/or overnight, which also meant I would miss a day of school. So neither of those options were feasible for me. They weren’t willing to rebook me on non-star airlines, so basically I felt that using Avios for CX F was my best (and also most luxurious) way to get home.